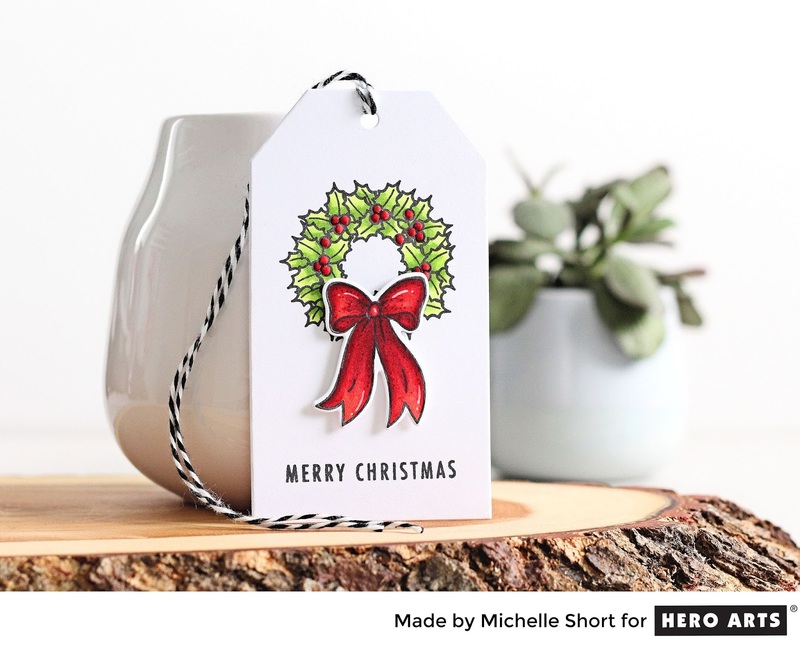 Hello there, I am over on the Hero Arts Blog today sharing an idea for Christmas tags. I am using the new Santa's Door Accessories stamp set, as well as the coordinating dies for my tags today. The stamps in the set work perfectly with the Paper Layering Wooden Door Die but I thought I would use the wreath and bow on their own. 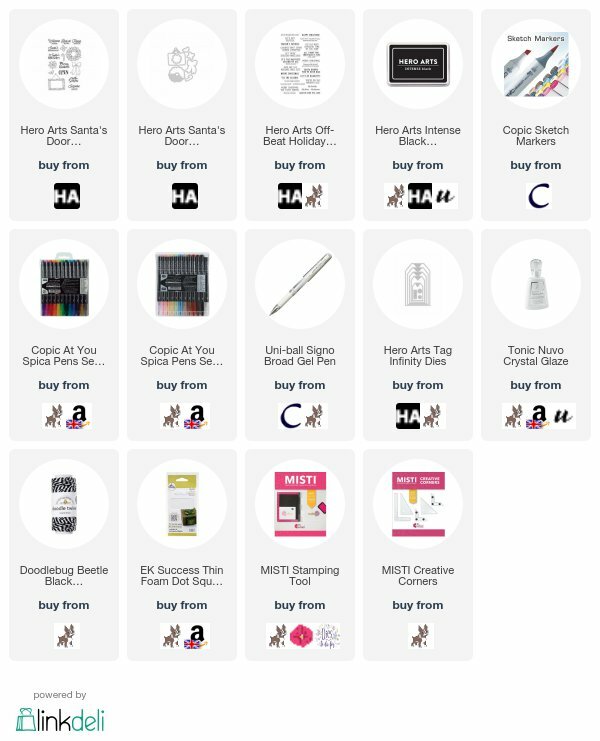 COPIC MARKERS - YG17, YG23, YG01. R89, R37, R29, R27, R24, R14. Spica 03 Red, 21 Lipstick. How gorgeous is that big bow? I love it! I think the wreath would work really well on it's own for cards too. For more details on how I made the tag, please visit the blog post here. Thanks so much for visiting me today. I hope you have a great day! Gorgeous wreath, Michelle! I'd love to have one like this hanging on my front door! Im so used to making cards I forget about making tags. This set would be great for tags. I saw your tags onto the Hero Arts blog and said how they were perfect Christmas presents tags. So beautiful...love your sweet tag!